Welcome! The purpose of this webpage is to describe the use of Drug-Eluting Stents (also known as "drug-coated stents") to treat coronary artery disease. Use the tabs at the top or the links on the bottom to navigate through this website. 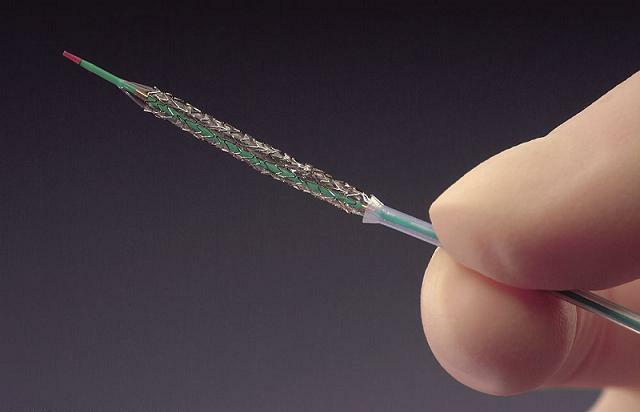 Coronary stents were first introduced to the medical world in the mid-1980's. Coronary artery stents had several problems in the beginning, particularly with thrombosis. As the stents evolved with continuous modifications, restenosis rates continued to improve with time. More recently, the solution for the restenosis problem shifted more towards a pharmacologic technique more than a stricly mechanical method. Today, the newest technology in combating coronary artery disease is the use of drug-eluting stents. These stents are coated with various drugs, time-released using thin polymers, that lower restenosis rates. Key studies show that patients who received drug-eluting stent procedures experienced more than a 70% reduction in needing a second procedure due to restenosis compared to patients who received a bare metal stent procedure. Today, the world market for stents is a $5 billion business annually. Over 80% of all stent procedures today utilize drug-eluting stents. An example of a drug-eluting stent is shown below (Figure 1).